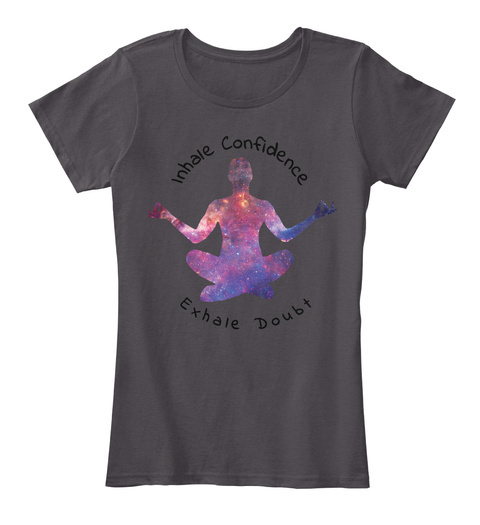 Inhale confidence and exhale doubt yoga tshirts for women. Great shirt for the yogi or yoga lover featuring a cool graphic tee with lotus pose. This shirt will make you feel calm and relaxed just like your yoga class. Great for the yoga fitness guru or for those who believe meditation is the way to happiness.